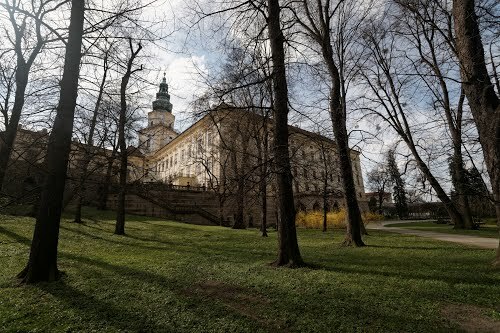 The Kromeriz Palace in Kromeriz, Czech Republic, used to be the principal residence of the bishops and (since 1777) archbishops of Olomouc. The first residence on the site was founded by bishop Stanislas Thurzo in 1497. The building was in a Late Gothic style, with a modicum of Renaissance detail. During the Thirty Years' War, the castle was sacked by the Swedish army (1643). 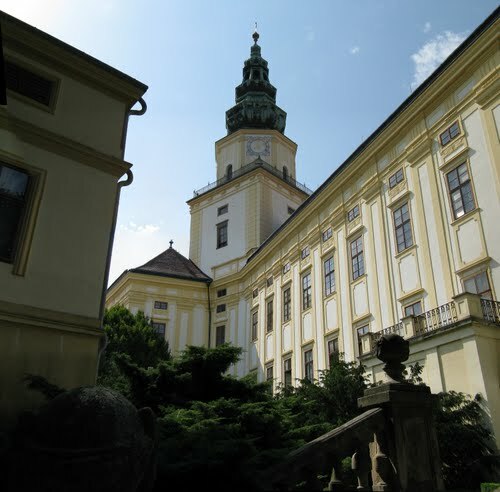 It was not until 1664 that a bishop from the powerful Liechtenstein family charged architect Filiberto Lucchese with renovating the palace in a Baroque style. 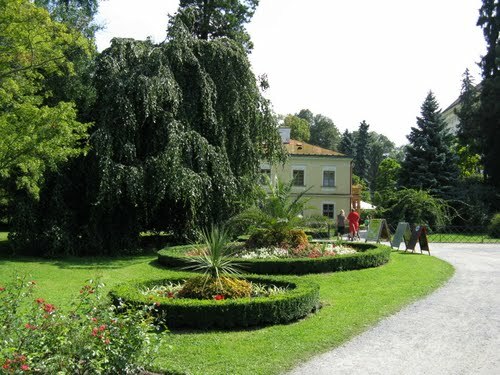 The chief monument of Lucchese's work in Kromeriz is the Pleasure Garden in front of the castle. 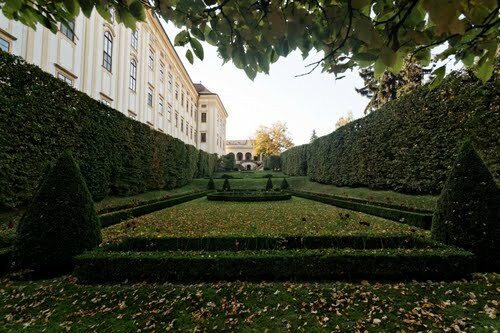 Upon Lucchese's death in 1666, Giovanni Pietro Tencalla completed his work on the formal garden and had the palace rebuilt in a style reminiscent of the Turinese school to which he belonged. After the castle was gutted by a major fire in March 1752, Bishop Hamilton commissioned two leading imperial artists, Franz Anton Maulbertsch and Josef Stern, arrived at the residence in order to decorate the halls of the palace with their works. 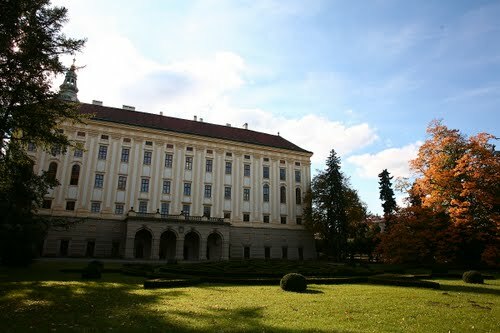 In addition to their paintings, the palace still houses an art collection, generally considered the second finest in the country, which includes Titian's last mythological painting, The Flaying of Marsyas. The largest part of the collection was acquired by Bishop Karel in Cologne in 1673. The palace also contains an outstanding musical archive and a library of 33,000 volumes. 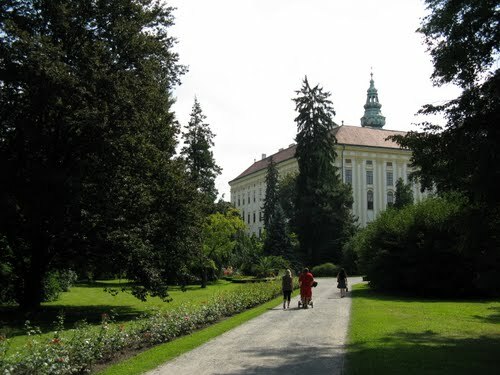 UNESCO lists the palace and garden among the World Heritage Sites. As the nomination dossier explains, "the castle is a good but not outstanding example of a type of aristocratic or princely residence that has survived widely in Europe. 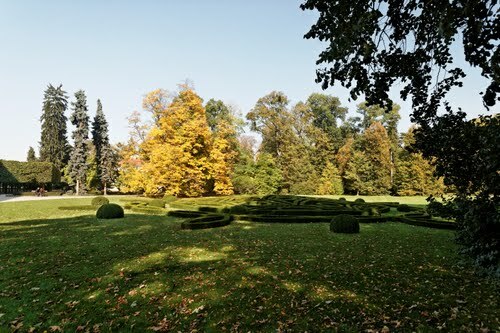 The Pleasure Garden, by contrast, is a very rare and largely intact example of a Baroque garden". Apart from the formal parterres there is also a less formal nineteenth-century English garden, which sustained damage during floods in 1997. 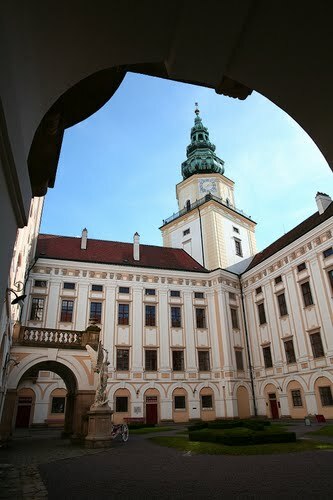 Interiors of the palace were extensively used by Milos Forman as a stand-in for Vienna's Hofburg Imperial Palace during filming of Amadeus (1984), based on the life of Wolfgang Amadeus Mozart, who actually never visited Kromeriz. The main audience chamber was also used in the film Immortal Beloved (1994), in the piano concerto scene.